German-born violinist Hartmut Richter is a soloist and chamber musician residing in London, United Kingdom, giving regular concerts in Europe and North America. He is active in several ensembles including the Veles Ensemble, the Richter-Housden Duo (violin/guitar), the Richter-Ardelean Piano Duo and other formations. 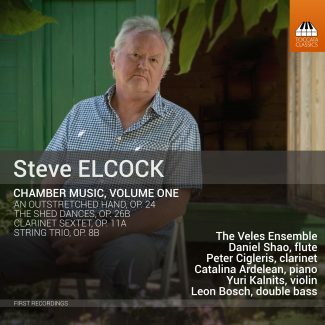 He is featured on a recent NAXOS CD of music by Stephen Dodgson, released in August 2017, as well as on a Toccata Classics CD (December 2018) with the Veles Ensemble. Richter studied at the Hanover Academy of Music, Germany, under Krzysztof Wegrzyn, Atila Aydintan and Ina Kertscher, before completing his studies with a soloist diploma at the Nuremberg Academy of Music under Lydia Dubrovskaya. Richter won several first prizes in German national competitions including Jugend Musiziert and the Mozart Competition Hildesheim, and has received scholarships for international masterclasses working with renowned professors including Herman Krebbers, Robert Szreder, Rosa Fain, Kurt Sassmannshaus and Christian Altenburger. Apart from his performing career, Hartmut is a composer and a dedicated violin teacher and frequently holds music workshops internationally. Hartmut plays a copy of the Hart (Ex-Francescatti) Stradivarius violin (1727), made by Christian Erichson, Hanover. 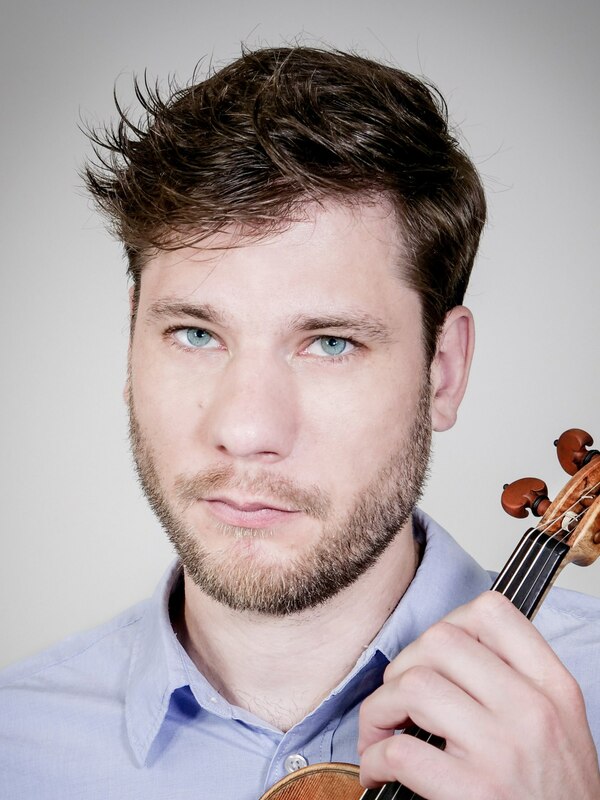 Hartmut Richter was born in Hanover, Germany in 1984 and started playing the violin at the age of six. In 1994 he became a student of Professor Krzysztof Wegrzyn at the Hanover Academy of Music where he later completed his Diploma of Music under Professors Krzysztof Wegrzyn, Atila Aydintan and Ina Kertscher. He completed his studies under Prof. Lydia Dubrovskaya in Nuremberg where he received his Soloist/Artist Diploma in 2011. Hartmut has worked with numerous professors in various Masterclasses, including, amongst others, Zenon Brzewski, Helen Brunner, Robert Szreder, Rosa Fain, Kurt Sassmannshaus, Herman Krebbers and Christian Altenburger. Early in his career he started giving international concerts and won several first prizes at the German national competition “Jugend musiziert”. He is a first prize winner of the Mozart Competition Hildesheim 2000 and received a special award of the German Mozart Society. He had his live TV debut in 1999 when he performed on the NDR evening show “DAS!”. Since then he has been giving soloist concerts regularly and has been engaging in numerous chamber music projects. Apart from his violin career, Hartmut is a composer of classical and contemporary music and a dedicated multi-instrumentalist. Some of the projects and compositions will be uploaded to this website in the future. New CD on Toccata Classics! The Veles Ensemble with music by Steve Elcock. A CD recorded together with the Mela Guitar Quartet, Eden-Stell Guitar Duo and others featuring music by Stephen Dodgson has been released on NAXOS in August 2017. The Veles Ensemble will open this evening of contrast with a true classic: Beethoven's String Trio Op. 9 No. 1 in G-major. The trios Op.9 - published in 1798 - are often considered to be one of Beethoven's most important early works. The G-major's powerful and even symphonic qualities, wide melodic lines, contrasts and the breathtaking vigour of the finale leave no doubt about its historic significance. It is followed by Zoltan Kodály's Intermezzo, a wonderfully fresh and light scherzo, written by the then 23 year young composer while finishing a dissertation on the Hungarian folk song at the Budapest academy. Not surprisingly, it combines the spirit of the Hungarian folk song (but without the clyché!) with the depth and sophisticated textures reminiscent of Dohnányi, whose Serenade for string trio served as a model for this short and entertaining delight. live from our Naxos CD release concert at St. James’s Piccadilly, London. Divertissement by Stephen Dodgson. New recording of Eugene Ysaye’s 4th solo Sonata, recorded in a beautiful wooden church in Sandy Cove, Nova Scotia, Canada. Listen in the player below or on the Media page.